On Saturday night, Gennady Golovkin (on left in white in the image above) continued his reign of terror beating Willie Monroe, Jr., to run his record to 33-0 (30 KO's) and extending his consecutive knockout streak to 20. Two weeks prior, Floyd Mayweather defeated Manny Pacquiao by unanimous decision to run his record to 48-0. After Golovkin beat Monroe, fans were clamoring for Golovkin to face Mayweather. 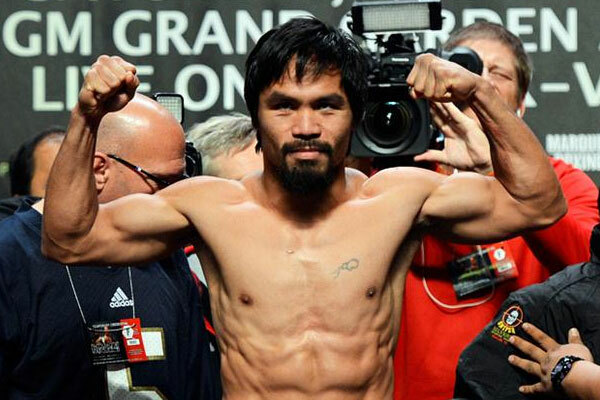 MORE: Boxers to watch | Pacquiao's next fight? 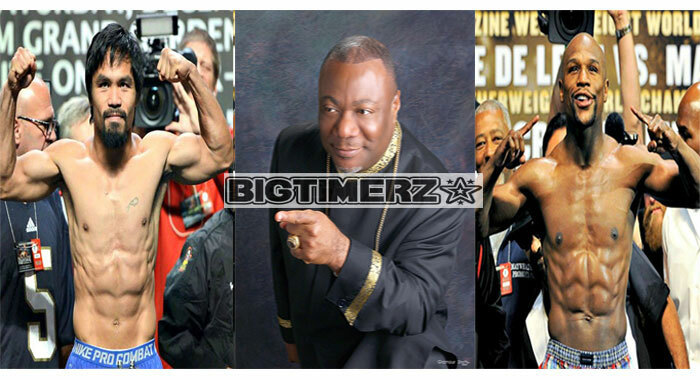 | Mayweather's next fight? During the post-fight press conference Golovkin, a middleweight (160 pounds), was asked by if he would drop to super welterweight (154 pounds) to face Mayweather. "This is business. 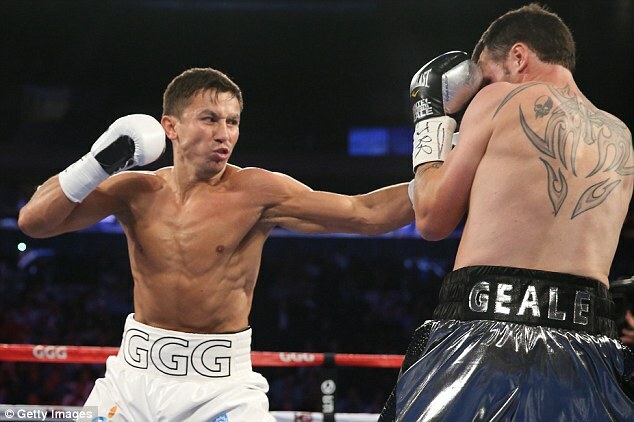 Show me contract," Golovkin said. 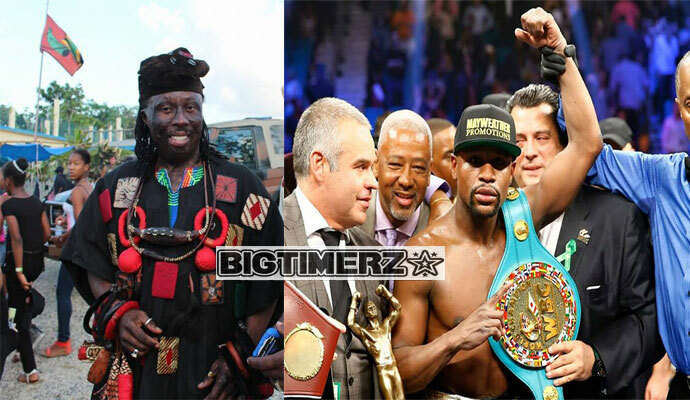 Mayweather's father and trainer Floyd Mayweather Sr. did an interview last week saying even with the weight discrepancy his son would beat "GGG". Fighting Golovkin would be the worst thing Mayweather can do. Mayweather has only fought three times at 154 pounds defeating Oscar De La Hoya, Miguel Cotto and Canelo Alvarez. He isn't even a natural welterweight (147 pounds), and should be fighting at light welterweight (140 pounds). Golovkin has fought his entire career at 160 pounds and if he drops down to 154, by the time they would get into the ring and rehydrate, Golovkin would weigh between 175-180 pounds. Mayweather would weigh no more than 160 at best. There's no reason for Mayweather to get in the ring with a man who has knocked out 20 straight opponents and has won 30 of his 33 fights by KO. Mayweather likes to get in, and get out with minimal risk which has gotten him to where he is and made him hundreds of millions of dollars. 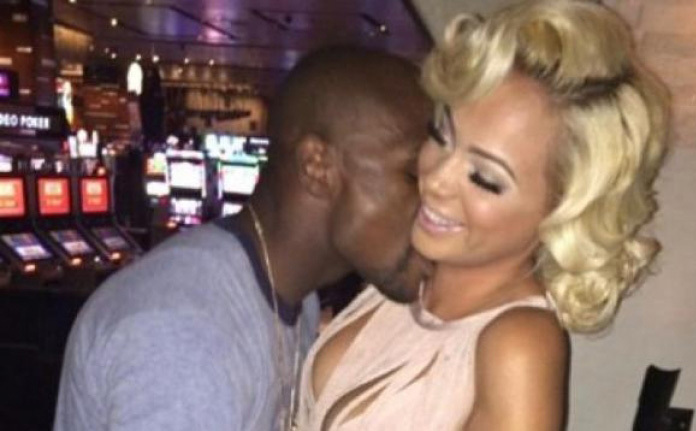 But, it does seem Mayweather has been upset since the Pacquiao fight. At first, he was going to give Pacquiao a rematch . Then in an interview with Showtime's Jim Gray, Mayweather changed his tune and called Pacquiao "a coward and a sore loser" for blaming the loss on a torn rotator cuff. Currently, Golovkin is the most exciting fighter in the sport. He has a fighting style that appeals to casual fans and has the charisma and basic personal skills that Mayweather lacks. HBO airs Golovkin's fights and Mayweather competes on Showtime. The two cable companies just worked together airing Mayweather-Pacquiao so a co-promotion wouldn't be an issue. Leading up to the Pacquiao fight, Mayweather stated he would fight one more time in September before hanging up the gloves. Following his victory over Monroe, Golovkin said he too wants his next bout to come in September. Facing Golovkin with his undefeated streak and legacy on the line is too much of a risk to take. Mayweather can fight someone like Amir Khan or Keith Thurman, who are more suitable for the way he fights amd could then ride off into the sunset tying Rocky Marciano's undefeated record. Mayweather has often stated that he would fight and beat anyone regardless of the weight class. Will he put his money where his mouth is? That remains to be seen. Floyd, stay away, stay far away from Golovkin. You won't like the final result.